I love birthdays and birthday parties. In fact, I love parties in general. Not so much in the 'excuse to drink' way but more in the 'excuse to decorate and plan and gather around a common theme' way. That's why I gave in to the bridal showers and bachelorette party tropes I normally would not find necessary, I just love themes! Birthday parties are especially great because the main theme is 'do what the birthday boss wants.' Sometimes what I want is just a stress-free day where I wake up late, have brunch out or in, lazily shop with friends or just enjoy the city, then meet up a larger group for dinner and drinks. It's a great way to get a big group together. This year I'm turning 30, but I'm also far away from my friends and family for the first time. So I'm planning a shindig. I have made a few new friends on the east coast so I know I won't feel too sad that I can't share the day with my normal crew. It will be different though. So how do I stay excited? 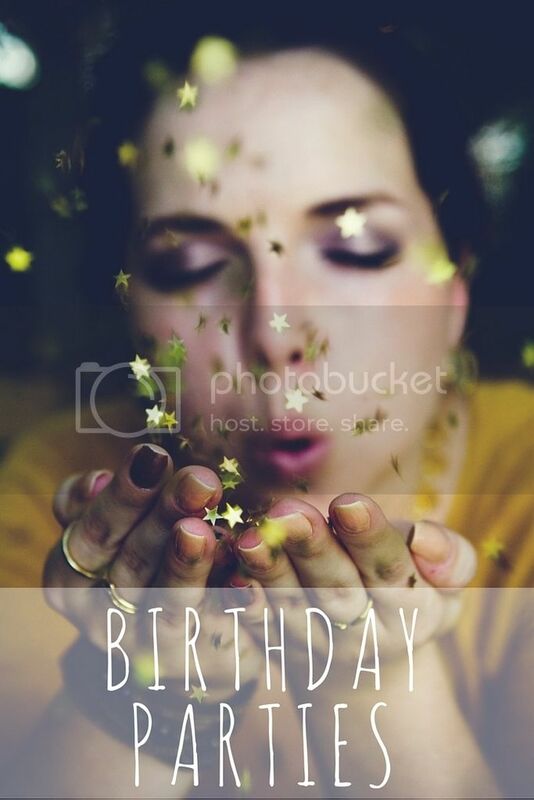 Follow MagicCatJenny | Geeky Lifestyle's board Birthday Party Ideas on Pinterest. Follow MagicCatJenny | Geeky Lifestyle's board Party Ideas on Pinterest.